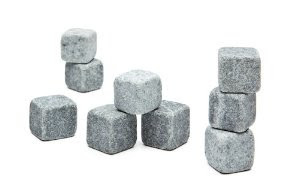 Thanks to Uncrate I have come across Whisky Stones. Essential for those drinkers who enjoy their whisky on the rocks! As mentioned on the Teroforma website, these soapstone ice proxies are apparently "more mellow than ice" and "will cool your next dram just enough to take the edge off without diluting its perfectly balanced flavors." I guess these would suit any whisky enthusiast who enjoys their tipple neat and chilled. The perfect companion for those summer whisky club meetings. A great way to enjoy whisky all year round...now there is a thought.